These little cookies might just be my new favorite - they are super easy, require only 4 ingredients, gluten-free and delicious. 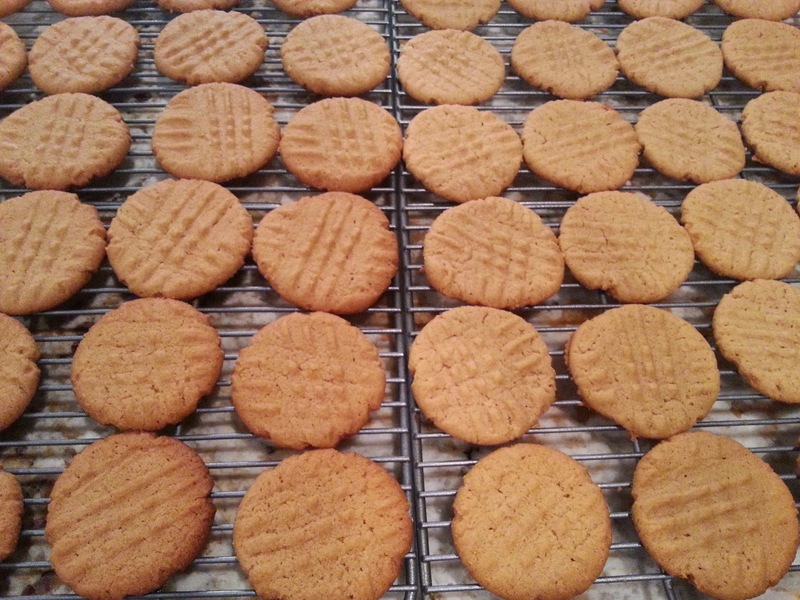 I've made these a few times and two different versions - Peanut Butter Kiss Cookies and Cris-Cross Peanut Butter Cookies. Both are great; it just depends on whether you want chocolate with your peanut butter or not ;). You can check out the original recipe here. In a small bowl, beat eggs and baking soda. 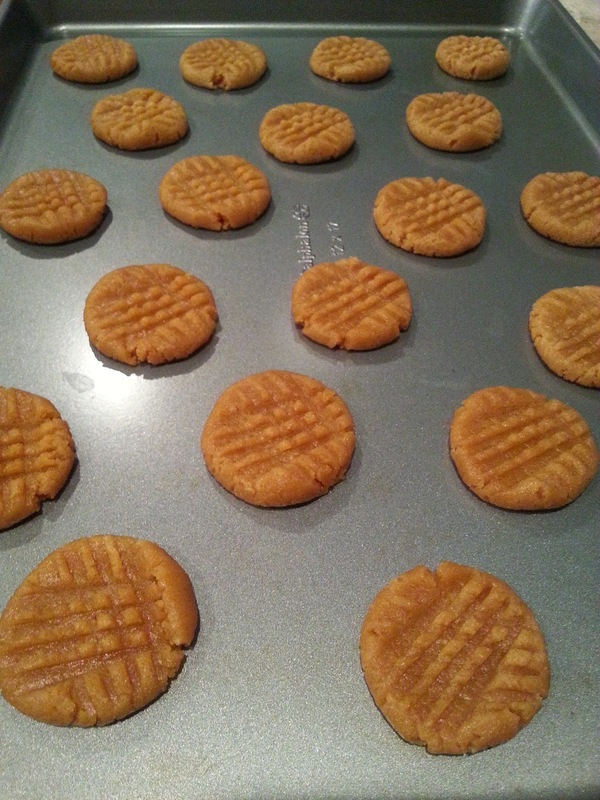 In a mixer, blend peanut butter and sugar until smooth. Add egg mixture into the peanut butter mixture and stir well. Roll into 1 inch balls, place on cookie sheet and flatten. Cookies will flatten upon baking, so leave enough space between cookies on the sheet. Bake 8 - 12 minutes. 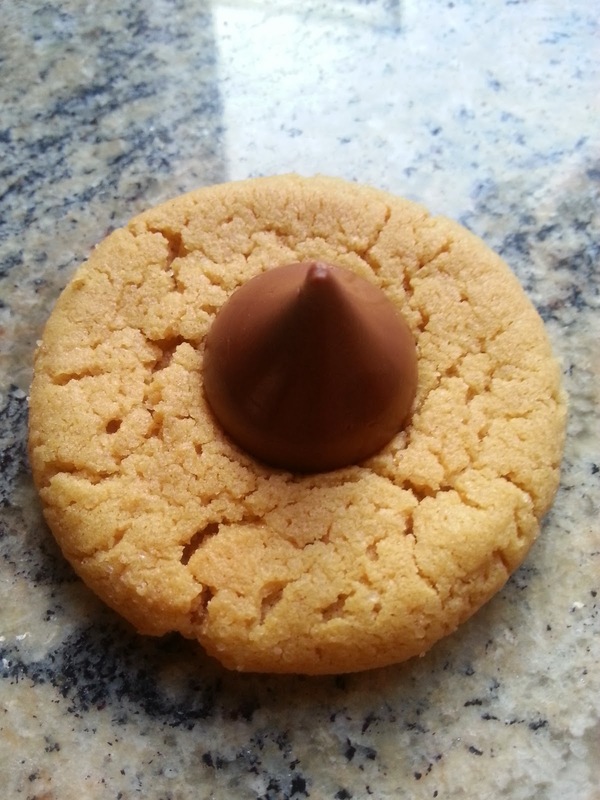 Let cool on the cookie sheet for a couple of minutes before placing the Kiss in the center of the cookie. 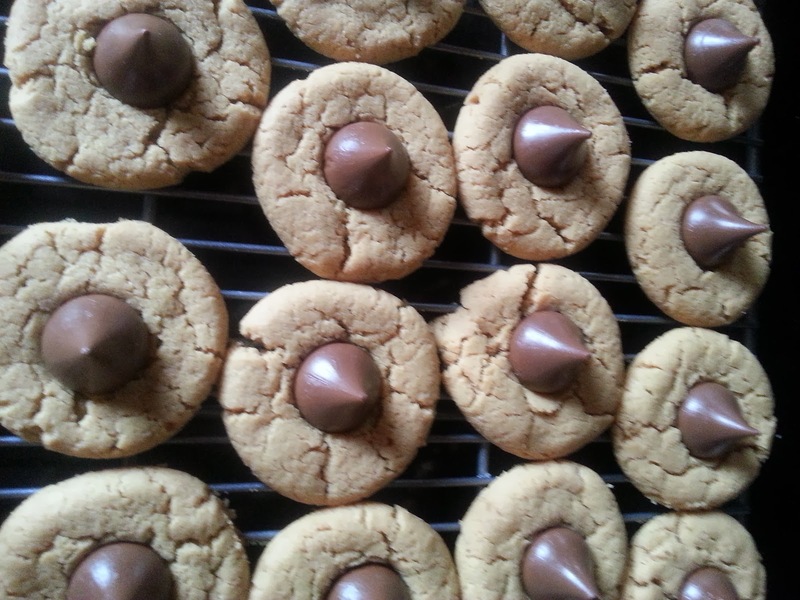 Remove cookies from sheet and further cool on a cooling rack or aluminum foil. In a small bowl, beat eggs and baking soda. 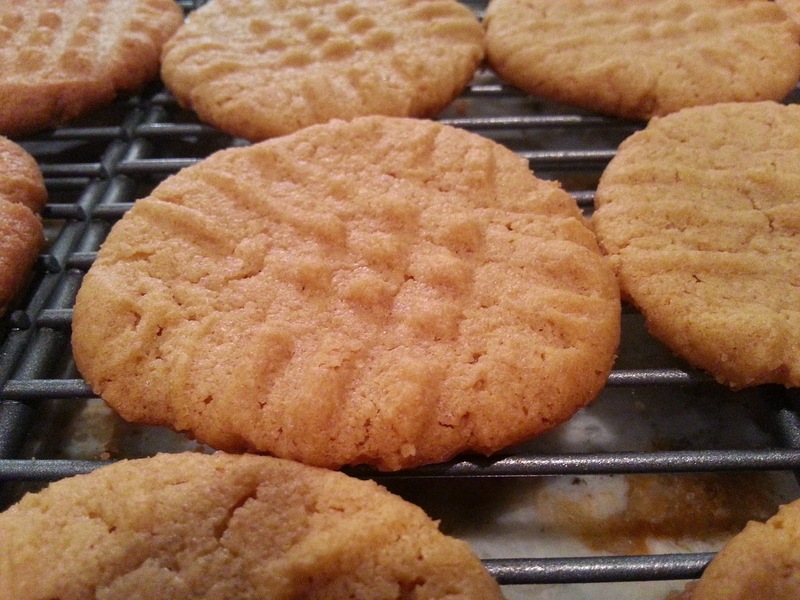 In a mixer, blend peanut butter and sugar until smooth. Add egg mixture into the peanut butter mixture and stir well. Roll into 1 inch balls, place on cookie sheet and flatten with a fork, creating a Cris-cross pattern. Cookies will flatten upon baking, so leave enough space between cookies on the sheet. Bake 8 - 12 minutes. 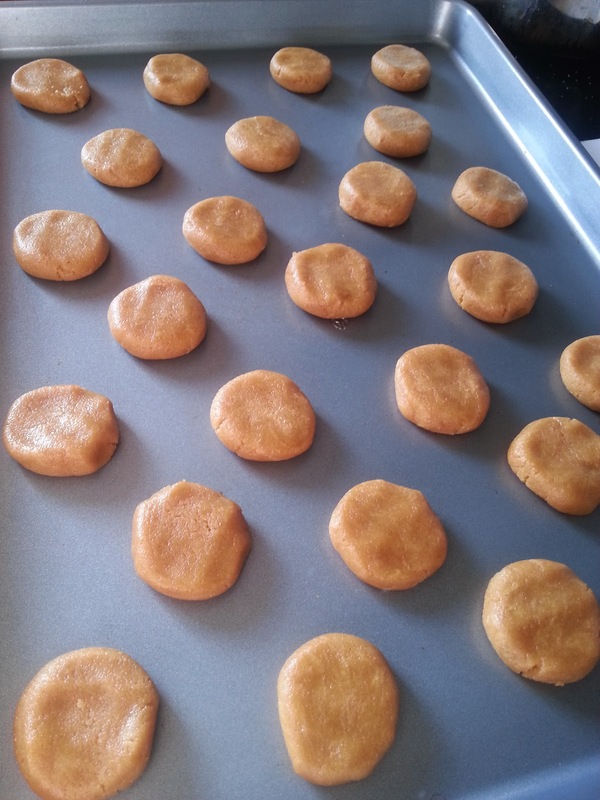 Let cool on the cookie sheet for a couple of minutes before placing on a cooling rack or aluminum foil.